Chandigarh 26th May:- The students of Class 12th of Chitkara International School have showcased a tremendous execution of hard work with 100% result in the CBSE Board Exams, 2018. A total number of 63 students appeared for the examinations set by the CBSE Board – with students, Vivek Kundu (Topper) securing 97.4% marks in Humanities, Anmol Rattan kamboj securing 90.6% marks in Commerce & Aashish Raizada securing 86% marks in Non-Medical. Dr. Niyati Chitkara, Principal, Chitkara International School, said that the remarkable result is the collective hard work, consistency and sincerity of the teachers and students. Vivek Kundu, an extremely humble and an all rounder with a flare of public speaking skill, brought laurels to the school by scoring an outstanding percentage of 97.4% in Humanities with 100/100 marks in Political Science & Economics. Anmol Rattan Kamoj, an ace tennis player and a focused boy scored 90.6% in Commerce. With his dedication, hard work and commitment towards his goal, he proved himself by excelling in his desired stream. Aashish Raizada, Rock-Band member, an Orator and very focused towards his studies made the school proud by scoring 86% in Non-Medical. He has set an example that with complete focus, regular studies, guidance from the teachers and no tuitions or coaching can make you score better in a technical stream as well. He proudly stands amongst all the students of any competitive field. Following the league of top scorers, Kashish Sharma the fencing extraordinaire of the school resolved to burn the midnight oil by balancing both studies and sports with earnestness and coming up with above 90 % marks. This is not the first time that Kashish Sharma has made the school proud; she had also been awarded the National Award by our honorable President Dr. Pranab Mukherjee in November 2015 for her exemplary benefaction in fencing. She is also the Brand Ambassador of Chandigarh Commission for Protection of Child Rights (CCPCR). The teachers of the school acknowledged every student for their commendable endeavours, and intense conviction to ensure 100 % results for the school. 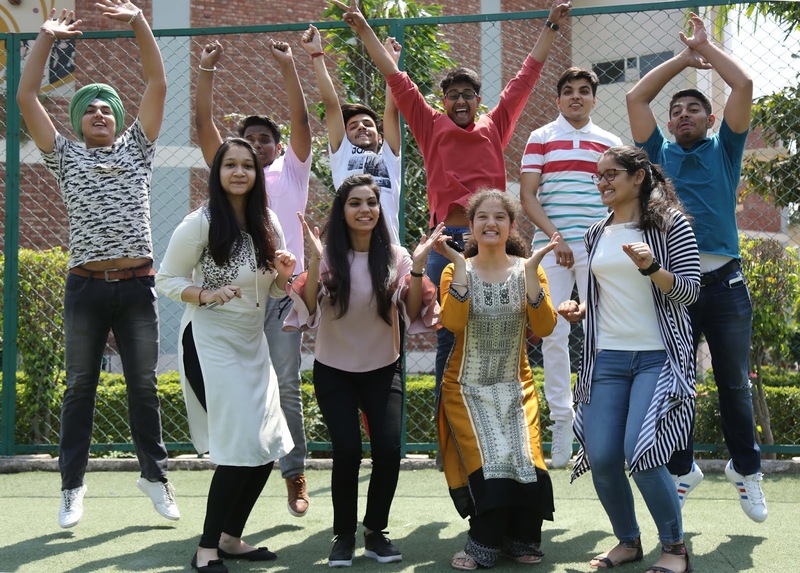 Each and every student is declared successful in their attempt to perform phenomenally well in class 12 Board Results at Chitkara International School.